“Letter U is for Up (in the sky) Week” was utterly unbelievable, unimaginably unique and uber-uplifting! Although the letter U is not the most common letter in the alphabet, the students managed to fill the sharebox each day throughout the week! Only a few of the shares actually started with the letter U while most of them related to the Up in the sky theme! By far the silliest share of Letter U Week was a package of UnUsed Underpants! There were also some great Letter U/Up (in the sky) books that were sent in each day! Well, “Letter U is for Up (in the sky) Week” has come and gone. Read on below to discover the learning that took place and fun that was had throughout the week! The students spent Monday and Tuesday morning working one on one with the teachers to complete their Letter U identification/fine motor activity pages. The teachers were so impressed with how easily the younger students recognized the letter U and also how well the older students remembered all things “U” during their morning work! In the afternoon on Monday and Tuesday, the students created the twenty-first letter list of the year! As a whole group, the students took turns brainstorming and contributing words that begin with the letter U and also hunted around the classroom for letter U items! Take a look at the list that Tuesday’s group came up with! How many letter U shares do YOU see? Answer: Umbrella, Underwear book, U Alpha-bot, Uno and Ugg boots! Wednesday morning was spent discussing the letter U theme of the week – Up in the sky! Joy filled the classroom as the students learned that they would be creating a very special “Up in the sky” art activity. Can you guess what “Up in the sky” thing the students made this week? Here is a hint: People ride on this Up in the sky thing when heading far away from their homes! If you said, “An airplane!” then you are correct! For their art activity on Thursday, the students created a super colorful Up in the sky rainbow project using paintbrushes and assorted paints! Here is how they did it! During the afternoons this week, the students enjoyed learning various songs in music class! Here is one of their favorites! After having Spanish class on Wednesday and Thursday, the students discussed stars, along with many other “Up the in Sky” things including planets, the sun, the moon, and more! In fact, they particularly loved learning how to say the following words in Spanish. Speaking of stars, on Friday the students creating a shooting star art project! Naturally, they needed to make a wish on these shooting stars! In the afternoon on Friday, the students continued their exploration of “Up in the Sky” theme with a technology presentation! During the presentation, the students learned more about the various parts of an airplane, different types of airplanes, and of course, how airplanes work! Did you know that the engine inside an airplane pushes the airplane forward and the wings of the airplane help lift the airplane up into the air? Realizing that cars also have engines, one student wondered if cars would be able to fly if they had wings? 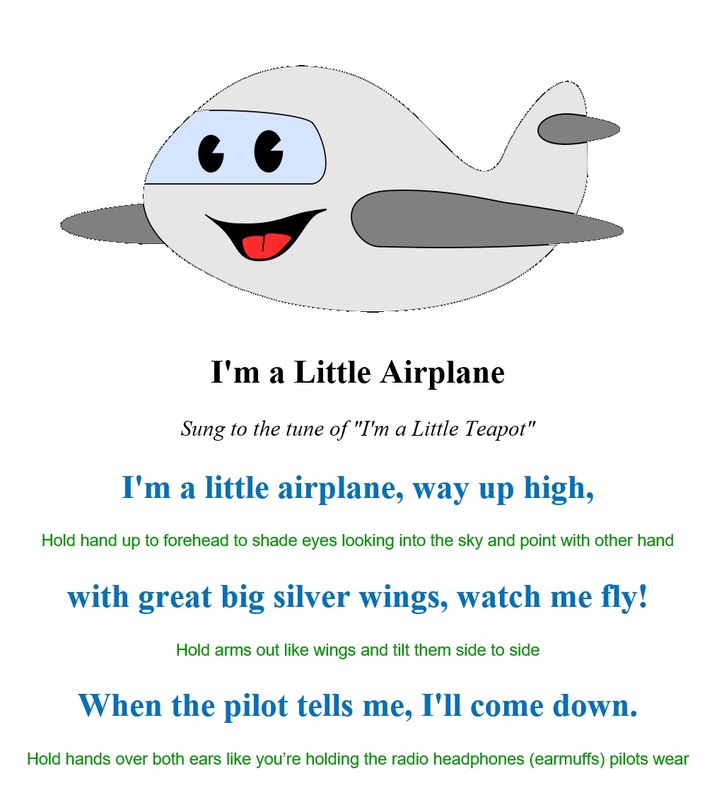 The teachers smiled and said, “Maybe one day!” Watch below to learn a bit more about the different types of airplanes! Well, that is all for “Letter U is for Up (in the sky) Week”. As always, thank you for reading! Have a fun and safe weekend! Letter V is for VROOM!